USCIS case processing time tracked daily through various tracker forums. H1B processing time at California is 2 month to 1 year. Vermont, Nebraska are faster for H1B extension, transfer and Amendment. 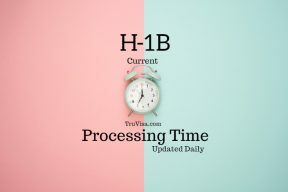 H1B premium processing 15 days. 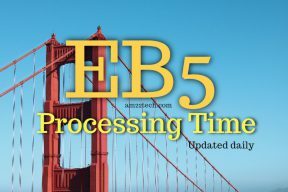 USCIS RFE Response Review Processing time is 93+ days in 2019 - regular applications. Premium RFE = 15 days. You get 60 days to respond. USCIS timer starts after RFE response submission. USCIS status - Name was updated can happen due to internal name correction to match your paper application. Address change update could be to fix apartment or street number. 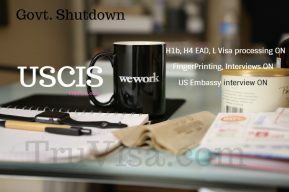 Does USCIS work during government shutdown - Yes, they work. H1B, H4 EAD, N400, Green card interviews are taken as scheduled. US embassy may not be open.